The English Test Scores Comparison Table shows the scores required for Australian migration and study. The language tests are universally accepted in Australian education and career fields. The benchmark score levels range from Functional through to Superior. Temporary Skill Shortage (TSS) visa is to commence in March 2018. TSS is the replacement visa scheme of 457 visa program, splitting the 457 program into short and long term visas. The DIBP will receive adverse information about a visa holder. In the case of student visas, this is most often from the institution in which the visa holder is enrolled. The Department then investigates the claim, or information recieved. If satisfied that grounds for cancellation exist, a the visa holder is issued with a Notice of Intention to Consider Cancellation (NOICC). This is also known as ‘natural justice’ letter, for it provides opportunity for the visa holder to give their side of the story before cancellation proceeds. The visa holder is given 28 days from date of NOICC letter to provide a response. If the case holder is not satisfied with the response, and therefore believes cancellation should proceed, the visa cancellation will take place. The visa holder will be notified of cancellation by post or email. The notice will provide information about leaving Australia and date of cessation of visa. Can the decision to cancel a visa be reversed? In many cases, yes. In some, no. Formerly, Ministerial Intervention requests were possible, but access to the Minister is now restricted, however in some cases, appeal to the Minister can be allowed. The avenue of appeal depends on the type of cancellation, the grounds of cancellation, where the visa holder is at time of cancellation (onshore or offshore); extent of breach, types of breach and many others. Avenues of appeal can be complex, so please feel free to contact us visa email with as much detail on your case as possible. We will review and contact you back by return email or phone. Australian government reporting in the Senate in late 2015 has shown a dramatic increase in visa cancellation. The introduction of data matching systems across government departments, including state and federal jurisdictions, has allowed compliance monitors to identify breaches of conditions by visa holders. Student visas in particular have seen a marked increase in cancellations. This has resulted in thousands of deportations or requests to depart Australia within 28 days. 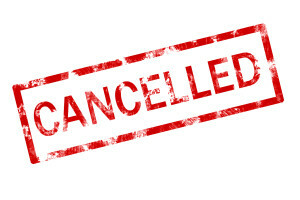 If you are subject to a Notice to Consider Cancellation, contact us for FREE ADVICE or add a comment on HOME page. Senate data shows 10,949 student visa cancellations took place last year. The reasons for cancellation were largely breaches of visa conditions. Other grounds for visa cancellation were failure to pass the genuine student test. It is worth noting that the genuine student test is applied consistently from application and throughout the period of visa validity. 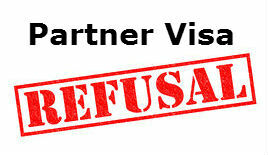 Visa cancellation is either mandatory or discretionary. Simply, mandatory means the visa MUST be cancelled. This means that request for review or to argue for a better decision is near impossible. Discretionary means that the case officer may decide to give a warning or just proceed to cancellation. This type of cancellation can be appealed. Appealing for reversal of cancellation can be made as a Request for Revocation. It is also important to bear in mind that the location of the visa holder at time of issue of notice is important. If onshore (in Australia) it is possible in most cases to appeal a decision. Where a visa holder is offshore, there are SOME circumstances where an appeal can be made. If a visa holder is in immigration clearance, there is no chance to make such an appeal. REMEMBER TO LEAVE A COMMENT ON THE HOME PAGE IF YOU HAVE A QUESTION OF A GENERAL NATURE. 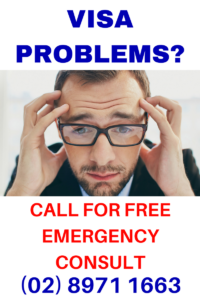 WE CAN PROVIDE FREE ADVICE THAT MAY BE OF ASSISTANCE TO OTHER PEOPLE IN A SIMILAR SITUATION. Delays in 457 visa processing are being experienced, according to industry analysts. Delays in 457 visa processing are a result of combined factors of changes to 457 visa program and internal reorganisation. The Department is restructuring in readiness for the abolition of the 457 visa to be replaced by the short term and medium term visa streams. Changes to temporary work visas, culminating in March 2018 winding down of 457 visa are a result of 457 Integrity Reviews. This has further resulted in strengthening of requirements around evidence and documentation. 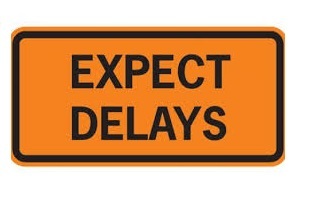 Delays can be extended if documentation and supporting material provided with your application is incomplete. In a more general shift in attitude, departmental case officers are increasingly refusing applications, either at nomination or standard business sponsorship stage, where incomplete or inaccurate supporting documents are supplied. Applicants for Standard Business Sponsorship, 457 nomination and 457 visa applications are encouraged to ensure applications are decision ready at time of lodging. In other cases where complete applications are lodged. You can also make a formal request to prioritise processing. Requests are often rejected where little or no supporting material of business case is supplied. If you need to make a request for priority processing, be as exhaustive with supporting documentation as you can. A number of review cases through the MIGRATION REVIEW TRIBUNAL (MRT) for skilled visa applicants, whose visa applications had been refused by DIBP, indicated that many applicants do not pay sufficient attention to the IELTS requirement in their applications. Now that English language testing has been expanded to cover 5 testing systems, visit our Language Center to access resources, teachers, materials and planning assistance for your language testing. 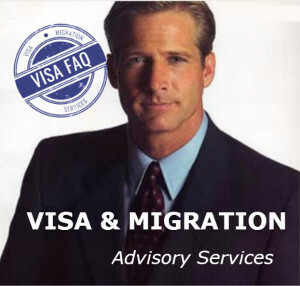 In Australian migration law Schedule 2 criteria define the requirements for the applicant to satisfy in order to qualify for the visa, either at the time of application or prior to a ‘final determination’. English language proficiency is, in most cases, essential to the grant of visa. Whilst IELTS itself is not specified in the law, an ‘instrument in writing as specified by the Minister’ is. 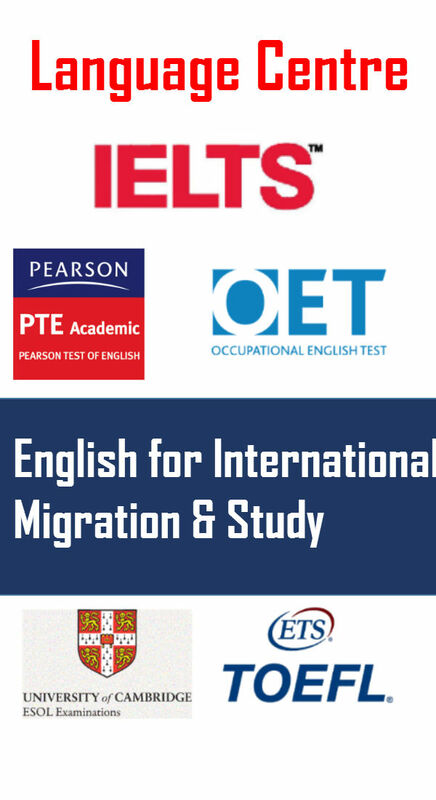 This invariably includes IELTS skilled visa. The IELTS skilled visa score (or other testing system as specified by (DIBP) an applicant will require to qualify for the skilled visa is typically defined by the Australian Classification of Occupations (ASCO) bodies. Some occupations, for example, will require ‘Vocational English’ and others may need ‘Competent English’ as defined in r.1.15C of the Regulations. Stronger measures to crack down on identity fraud have recently come into force in Australia’s immigration system. From 22 March 2014, penalties under the so called Public Interest Criteria (PIC) 4020 were increased from 3 years to 10 years. Applicants will not be able to make application for an Australian visa with PIC 4020 requirement for 10 years if there were found to have provided false information about their identity. This restriction will also apply to individuals found to have committed identity fraud when applying for a visa previously when they are included as secondary applicants on a visa application. The one-fails-all-fails principle will thus apply so it is essential that members of the same family unit making combined applications for a visa were not previously found to have committed identity fraud. If so, the entire family unit will be barred from making application. The 10 year ban applies only to refusals made under the new identity requirements, not to refusals made under pre-March 22 regulations. The 10 year period operates concurrently and not cumulatively, so that persons banned under former arrangements (3 years) will be facing 3 and 10 year bans concurrently. As a further sign of the government’s intent to crack down on identity fraud in Australia’s visa and immigration system, the power of the Minister to waive the restrictions (either for compelling or compassionate reasons) have now been removed. The Minister will no longer have the power to waive the restrictions. The purpose of the new arrangement is to strengthen the integrity of the migration program and deter identity fraud by introducing strict consequences where a visa application is refused because the applicant, or a member of their family unit, knowingly attempted to gain entry to Australia with fake identification. WARNING: If you have made application for Australian visa with PIC 4020 requirement but that application has not been finally determined, and you believe you may be at risk of PIC 4020 10 year ban on reapplying for another visa, you will need to submit a correction of information form to the Department. The Department of Immigration and Border Protection (DIBP) recently warned of false and unauthorised websites attempting to defraud would be migrants of money and identities. One website in particular, www.immigovau.co, mimics the current departmental website in appearance and layout, particularly when using certain browsers. A departmental spokesman said it was a well-camouflaged fake which should be avoided. All Australian Government websites end with the country code gov.au. “While there is no evidence that the department’s own web presence has been compromised, we advise web users who are looking for information on the department to make sure they visit the department’s official site at www.immi.gov.au,” the spokesman said. – Fraudulent phone calls from persons claiming to be a case officer from the DIBP, requesting credit card payments over the phone — NOTE: DIBP NEVER CALL TO REQUEST PAYMENTS OVER THE PHONE FROM CLIENTS. PAYMENTS TO DIBP ARE HANDLED BY A COMPLETELY DIFFERENT SECTION TO DEPARTMENTAL UNITS WHERE CASE OFFICERS WORK. – Promises made by unregistered (and therefore NON-REGULATED) migration agents promising Permanent Residence or making claims that they know people inside DIBP and can guarantee a positive result. NOTE: DIBP employees are carefully monitored and scrutinised for signs of corruption or bribery. Heavy sentences and lengthy jail terms are imposed on government employees found to be involved in such criminal and illegal activities. Always ask for the migration agent’s Migration Agent’s Registration Number and check it for currency against the OMARA website at www.mara.gov.au. All forms of correspondence such as email,text messaging, blogging, letters, postcards and the like are used extensively by departmental case officers to corroborate stories, accounts, claims made in applications, etc. It is important when compiling such material as documentary evidence, such as in demonstrating relationship between sponsor and applicant, that different sources and modes of communication are used. This is a form of cross-checking you can do on the case officer’s behalf. Traditional forms of communication such as letters are carefully analysed and scrutinised for authenticity and veracity (ie. truthfulness). Envelopes are noted for origin, date of time stamp and even style.The method of postal sending and receipt is understood in order that the case officer can make an assessment of how likely or possible a form of communication can be. For example, an applicant may claim that regular mail correspondence was sent from a certain remote location in country X to country Y. In checking the operations of the postal system in both countries and the form of postal communication used, case officers can assess the claims using this sort of background analysis. Other things to be aware of when using traditional modes of hand writing that the level of analysis used on the paper used, thicknesses, weight, colours, sealant used on envelopes (such as glue), creases and impressions on paper etc. The same applies for analysis of the hand written word, down to type and colour of pen, pressure used by hand writer and style of writing. Comparisons are made of earlier and later forms of hand written documentation evidence to ensure consistency throughout. Communications may also take different forms according to the cultural ideosyncrasies of the region in which the applicant resides or originates. It could be worthwhile in your dealings with the departmental case officer to point such things out in order to avoid suspicion of handling and submitting bogus documentation. The hints, tips and tricks above are a guide only and not a definitive discussion of all methods used by the Department in checking the authenticity and validity of documentation. If unsure, seek professional advice from a MARA registered migration agent or lawyer. As Mentioned in Part 1 of this series, heavy penalties are now being introduced by DIBP for people found to have submitted — knowingly or otherwise — false or misleading documents or proven to have filled in forms with incorrect information. PIC 4020 rules now allow for restrictions on making further visa applications of up to 10 years to be applied to individuals caught out submitting false or fraudulent — and in some cases just plain wrong — information and documentation. The following are insights into how departmental case officers assess documents and information for falseness. Documents such as Notice of Intended Marriage (NOIM) and Statutory Declarations are used extensively in partner visa applications in particular. These are legal documents so they need to be treated carefully and with a view to ensuring that no false or misleading information is contained within. Signatures are rigorously checked by assessing officers and cross matched with databases within the DIBP and in some cases cross departmental databases in Australia and overseas. Forms are also checked for how many different hands have written information into individual questions. Recurring signatories are flagged for further investigation and could be the trigger for an eventual refusal. Registraiton of notaries are also checked for current status ‘at time of application’. Unregistered notaries, agents or service providers, such as Marriage Celebrants, could render the document INVALID. Be sure to check the current state of registration of any service provider you engage for your visa application. If unsure, as always, seek professional migration advice from a MARA registered migration agent.